Meeting The Most Demanding FLUID POWER Requirements. When it comes to fluid power, BDS is the place to call for all of your hydraulic, pneumatic, and fluid conveyance needs. From seal kits to power units, tubing to air-compressors, centrifugal pumps and diaphragm pumps, BDS has it all. Precision hydraulic motion control for high speed, high force, accurate velocity and position control. Custom steel, ductile iron and aluminum manifolds for threaded body or drop in poppet logic. Closed loop vector pump control for the ultimate in energy efficiency in fluid power technology. Filtration systems and carts for every hydraulic filtration need. 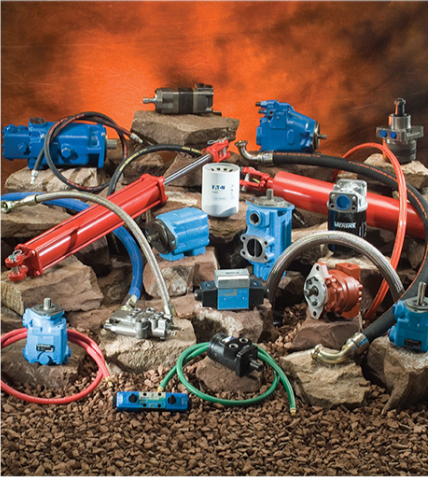 Hydraulic control valves and pumps that will work with a variety of exotic fluids. The ability to design complete hydraulic control solutions for any industrial fluid power application.